Check of these tips for planning a Super Bowl party in your apartment. On Super Bowl Sunday, people all over the U.S. gather with friends to watch the big game and enjoy some delicious food. 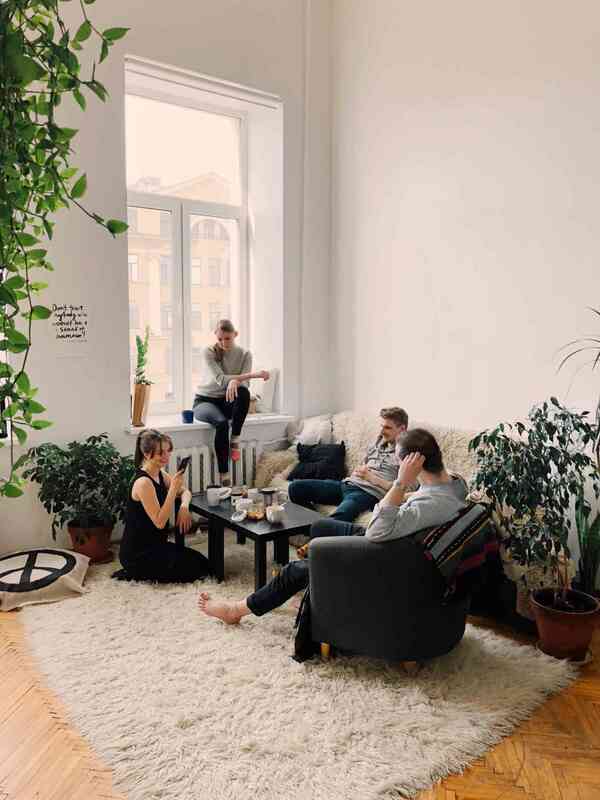 While your apartment may be small, that doesn’t mean you can’t invite friends over for a fun party! Continue reading for a few tips on how to plan your Super Bowl party in a small apartment. Before you invite anyone over for the party, you must first figure out the seating situation. After all, people will be over for multiple hours, and everyone should at least have a space to sit! You will likely need to bring in additional chairs to the living room if you have a small space, so arrange your kitchen chairs, desk chairs, and any other pieces of furniture that can double as a seat. Make sure they all fit comfortably in the living room with a good view of the TV. From there, you can have a much better estimate of how many people you should invite. The food and drink selection is a major aspect of a Super Bowl party, and it’s perfectly acceptable to ask guests to bring a dish, drinks, or even cups and plates. It’s not easy to prepare multiple appetizers in a small kitchen, so a potluck-style party is a great choice. However, many people also decide to order in for the Super Bowl, with casual foods such as wings and pizza. Keep the menu simple, and stick to reusable dishes and plastic silverware for easy cleanup. In a small apartment, it’s important to utilize every inch of your living room. Take the time to clean the room to remove any clutter, and rearrange the furniture to ensure everyone can sit comfortably. If you have any storage items or decor pieces taking up too much room, it may be helpful to move them to the bedroom to make a little more space. Also, it’s not a bad idea to remove any breakable items from the living room and store them away during the party, as football games can get quite rowdy! You will be able to feel much more relaxed knowing that your valuables are safe and your guests are comfortable in your home. This entry was posted on Friday, January 25th, 2019	at 4:09 pm	. Both comments and pings are currently closed.